Available in wonderful Bosnian White Pine as standard. Please contact us for availability of custom versions. Konus Audio Essence 2000 loudspeaker is no-compromise full range single driver floorstanding loudspeaker. Konus Audio Essence 2000 is a triumph of a minimalist approach to rather complex problems involved in loudspeaker design. Not many designers even dare to walk the path of full range single speaker design as it indeed is a complex and expensive affair in development. But, at the same time, it is a rewarding one, both for us who designed and who make it, and for you, as a proud owner. 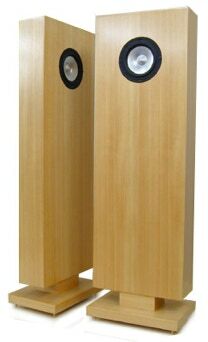 Konus Audio Essence 2000 loudspeaker is in-house handmade product by artisan craftsmen. Credit for assistance and suggestions in the early stages development of Konus Audio Essence 2000 goes to late Ted Jordan and Koji Teramura.